And download the updates from there! but i cont make account . because need number from china . How can I just use the high-sensitive camera because it takes better pictures? Best regards! So it's the OnePlus 5T, just slower. Pros: brilliant hardware specs, amazing benchmark performance, fantastic camera. Cons: the most appalling use of the Android OS I have yet encountered. Clunky, ugly, inflexible, un-customizable. Forces you to put up with the apps Oppo wants. Its basically an Android recreation of iOS. 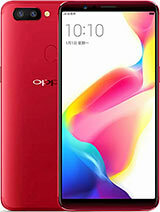 Anonymous, 14 Mar 2018oppo R11s = oneplus 5T oppo R15 = oneplus 6 look at the specif... morewhattttttttttttttttt??????? Anonymous, 05 Mar 2018Phones are not gaming devices, buy a PlayStation. Then why does playstore have so many games available to be installed on my phones? I have a ps4 but I still play ROS on my phone, is playing games on your phone forbidden now a days? rye, 15 Feb 2018which one is better for gaming huawei v10 or oppo rs 11....pls h... morePhones are not gaming devices, buy a PlayStation. rye, 15 Feb 2018which one is better for gaming huawei v10 or oppo rs 11....pls h... morebetter you go honor v10..more latest technology..
rye, 15 Feb 2018which one is better for gaming huawei v10 or oppo rs 11....pls h... moreHonor view 10.
oppo user, 21 Feb 2018OPPO! !Hey fanboy, please straighten out your facts before commenting. Where did you get the information that SD 660 is more capable than Huawei Hisilicon Kirin 970 the same SoC powering mate 10 and mate 10 pro. Hisilicon Kirin 970 is equally capable (if not more capable) with the SD 835. Check out the benchmarks! If you can't look it up yourself, try checking GSMArena's own benchmark test results. The Honor View 10 is far ahead than the R11s both on OS performance and gaming. rye, 15 Feb 2018which one is better for gaming huawei v10 or oppo rs 11....pls h... moreOPPO!! Is this r11s going to release in Malaysia?